KABOOST helps you entice your little one to take a seat in a big boy or girl chair. 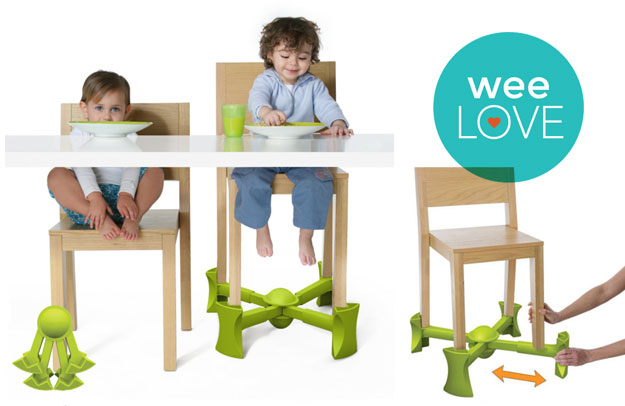 This easy-to-use attachment raises the height of virtually any four-legged kitchen and dining room chair so little kids (ages 2-6) can sit just like the big kids. The spring-loaded arms and non-slip rubberized feet work together to keep chair legs firmly in place (despite your toddler’s best scooting attempts). It actually improves chair stability by widening the base. Better yet, it folds up easily, so you can carry it in your diaper bag or pack in your suitcase when you’re traveling. 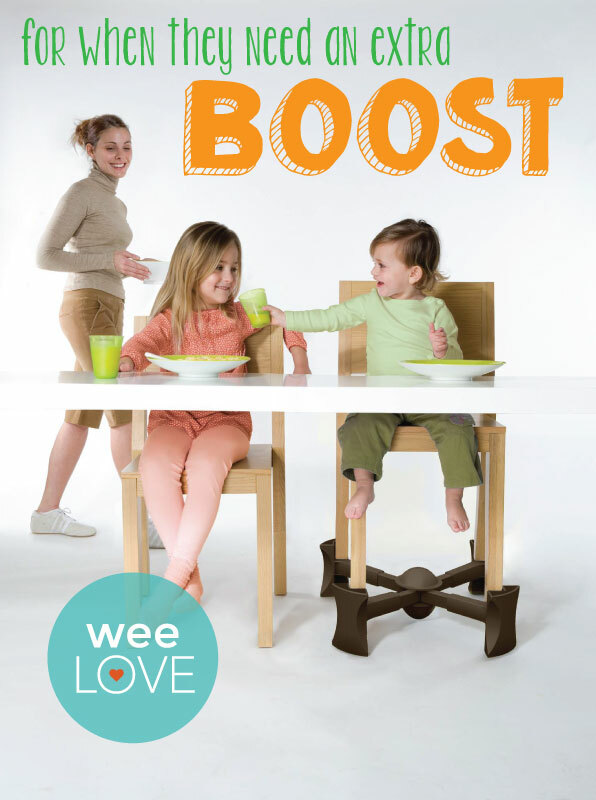 So if you’re in between the highchair and a grownup chair, just give your growing kiddo a KABOOST.